Robbins List - New Haven Events, Fundraisers & Deals - Last Call! 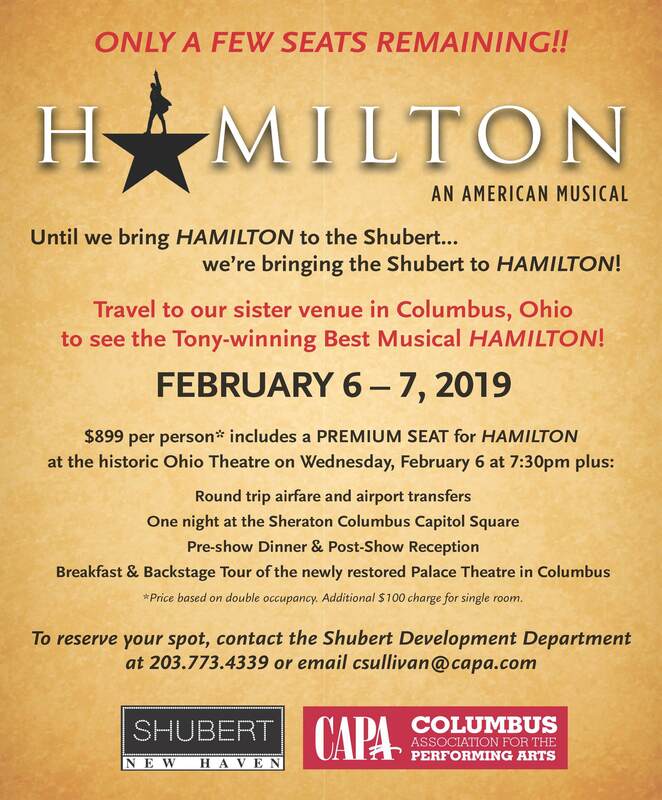 Travel with the Shubert to see “Hamilton” at our sister theatre in Ohio – prime seats, dinner, airfare and hotel included! « Thank You from the New Haven Animal Shelter! Last Call! Travel with the Shubert to see “Hamilton” at our sister theatre in Ohio – prime seats, dinner, airfare and hotel included!